Bless me fellow card collectors... for I have sinned. I can't remember the last time I confessed, but the childhood memory I'm about to share is something I haven't spoken about in almost thirty years. Back in the Spring of 1986, I was wrapping up my final year of junior high and most of my friends were into girls, skateboarding, or both. Me? 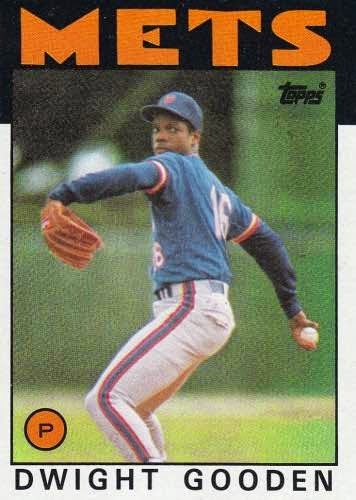 I was into baseball cards and video games. Yeah... I'm not embarrassed to admit that I was a late bloomer and the stereotypical nerd. But the story I'm about to share is very embarrassing and one of my least proudest moments. It was your average, run-of-the-mill afternoon and my friend and I decided to walk down to the local Long's Drugstore to buy some candy. While we were there, I noticed that they had received a fresh supply of 1986 Topps baseball cards. 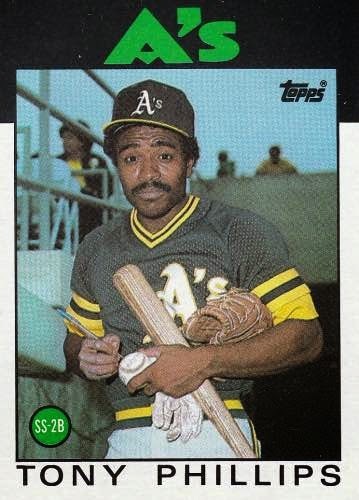 This was back in the day when stores still displayed their baseball cards in the candy aisle as well as their check-stands. I picked up a couple and we started heading back. After reached the back lot, my friend pulled out a handful of packs from her jacket and handed them to me. I immediately knew that she had stolen them... but at the very moment, I didn't care. The only thing that mattered was the stack of packs in my hand. Now before I continue, you should know a little bit about our friendship. The girl and I had been friends since we were in first or second grade, and I had known for years that she had a crush on me. So I wasn't too surprised when she offered to get me more. Not just one or two packs, but a full box. Obviously, I should have declined her offer. I was thirteen years old and was well aware of right and wrong. My parents raised me to honor the family name, but on that particular day I had a major lapse in judgement. The lure of opening a box of thirty-six packs was too strong and trumped my moral beliefs. We went home... dropped off our stuff, turned around, and went right back. To make a long story... a little shorter. She got caught. Well... we got caught. As soon as we exited Long's, a security guard asked us to go with him. He took us to a special room upstairs and made us empty out our pockets. I didn't have anything on me, but she had been holding onto the box under her jacket. She immediately began to cry and I felt like the worst friend in the world. Wait. Let me rephrase that... I was the worst friend in the world. They had us call our parents to pick us up, but before we left they took Polaroid pictures of us, plastered them on their wall of shame, and permanently banned us. We never hung out after that. Part of it had to do with my parents grounding me for a long, long time. It didn't help that she went to a different high school and moved a few years later. But most of it had to do with me feeling guilty, ashamed, and embarrassed for taking advantage of a really good friend. I had completely forgotten about this story until a few weeks ago when I read one of Night Owl's posts. I probably blocked out this memory as a way to save face. That night I tried to track her down on Facebook and conducted a Google search, but was unsuccessful. It's pretty unlikely... but maybe she'll stumble across this confession and accept my sincerest apology. Three decades later... baseball cards are still a huge part of my life along with the temptation to bust an entire box of cards. However... I promise to never put them above my moral beliefs. Proud to be a Copycat! Think back to when you were a little kid. What were some things you hated being called? On my block, there were two things: "tattletale" and "copycat". Thirty-plus years later, I still wouldn't want to be labeled a "tattletale" or as my students would say... a "snitch". However... as an adult... I'm perfectly comfortable with being labeled a "copycat". I'm always copying others. Half of the food I eat is based on recommendations from family, friends, co-workers, and students. Clothing too. If I see a student wearing a cool hoodie... I have no problem asking them where they bought it. And that goes for trading cards too. 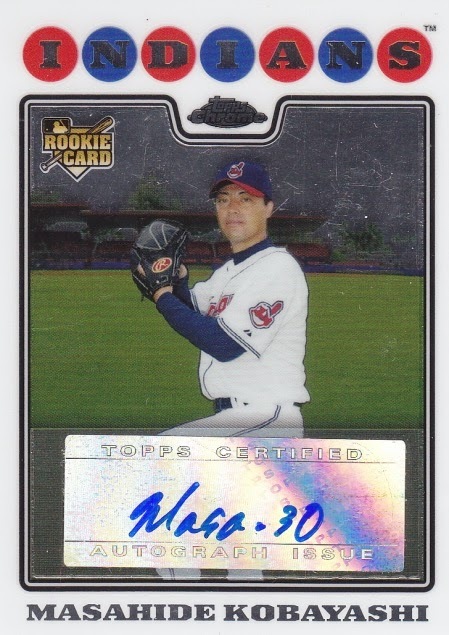 Back in March, Nachos Grande busted a box of 2004 Topps Clubhouse in one of his group breaks. 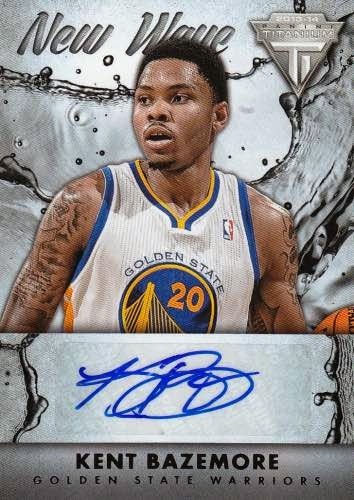 Now I typically avoid getting into group breaks, but I enjoy reading posts about them. And in this particular one, they pulled a ton of awesome relics. 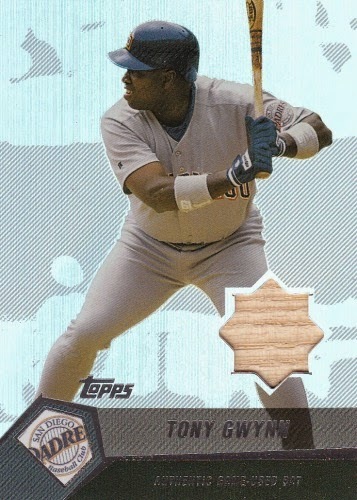 In fact, 2004 Topps Clubhouse is a relic only product and the checklist is loaded with stars and hall of famers. 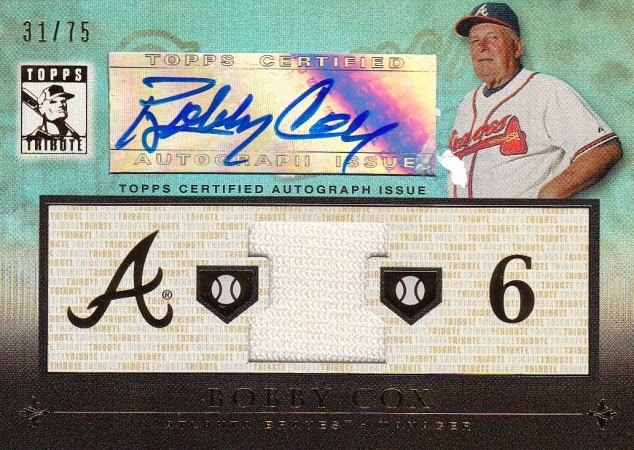 After seeing that card, I immediately went over to COMC to see if there were any available at a reasonable price. 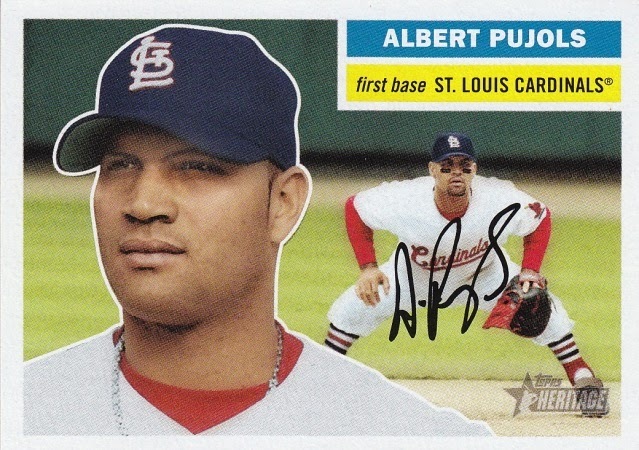 Normally I don't spend over $3 for a relic card, but I made an exception this time. I offered the owner $4.20 and he accepted. I also added these three HOFer jersey cards to my collection for $9.58. Every now and then, I'll look these up on COMC to see if I can add a few more of these shiny relics... but so far, I've come up empty-handed. 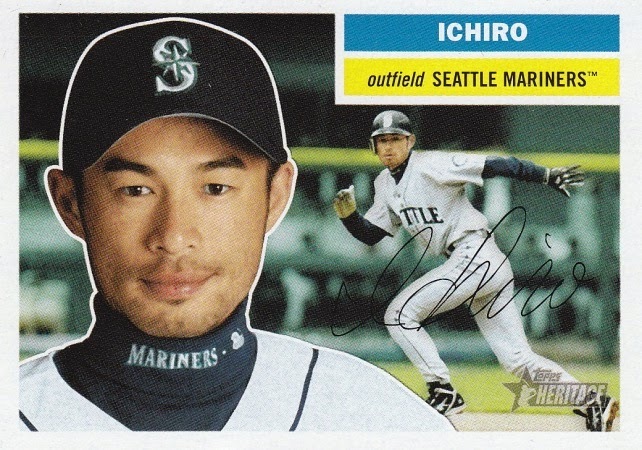 In the meantime, I'll continue scouring your blogs for cards I'd like to add to my collection. And if by chance I copy you, try not to be too offended. Just remember that imitation is the sincerest form of flattery. 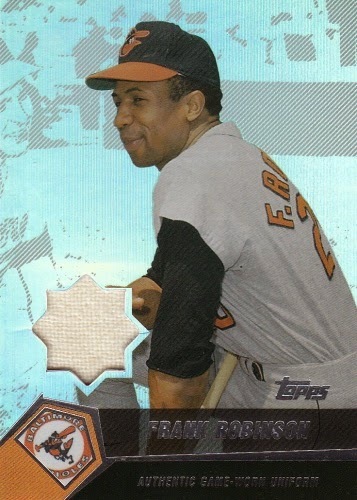 Topps is far from perfect. Smeared autographs. Delayed redemptions. Recycled photographs. Too many parallels. The list goes on and on and on. 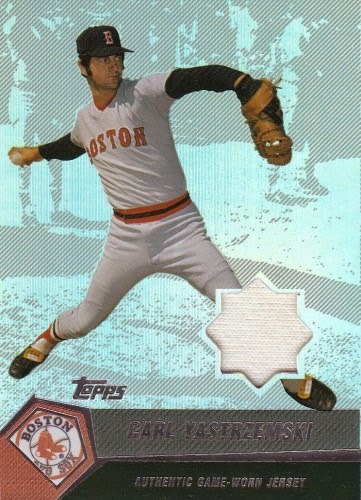 But I recently received a package from Brett (ucffans @ CCW) that reminded me why I've always been a Topps' guy. Framed relics rule. 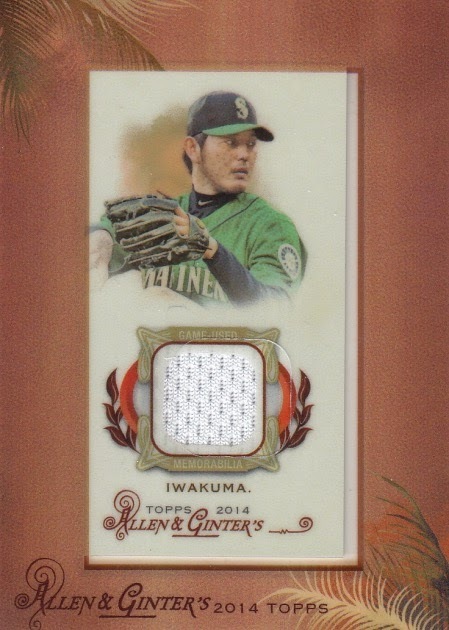 Doesn't matter if they're Allen & Ginter, Murad, Gypsy Queen, or T-206... I love them. The 2008 Topps baseball base card design rules. The colored balls that house the team name really stand out with the white border. Plus they give it a throwback feel... like something I might see from the 60's. 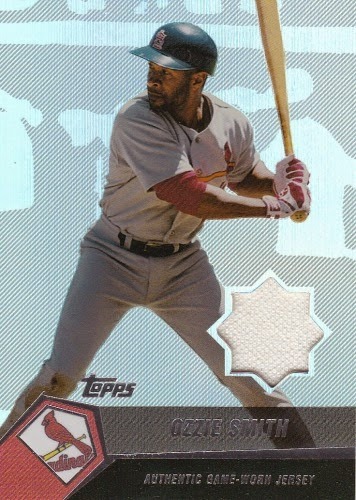 Outside of the this year's Topps design, I'd say the 2008 is one of my favorites in the past decade or so. Some like A&G. Others like standard flagship product. Me? I'm a Heritage kind of guy. Each year, I buy two blaster boxes. And every year, they're both Heritage baseball. Thanks for the generous care package Brett! As soon as the school year is over... I'll start putting together a package for you. 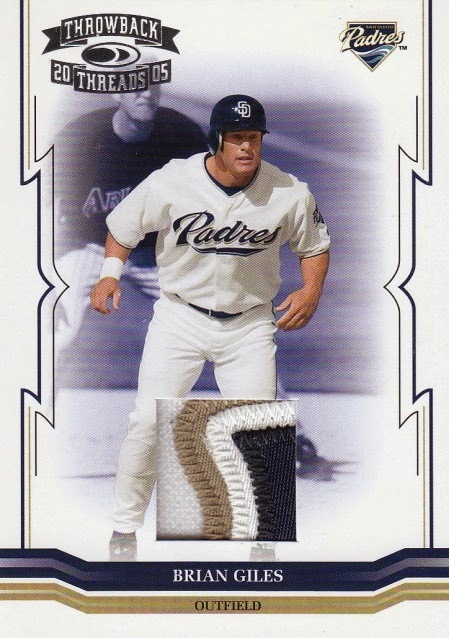 Fact: Tim over at The Great Sports Name Hall of Fame sent me a nice package of cards that contain some very low serial numbers, several autographs, and a beautiful patch for my Padres collection. 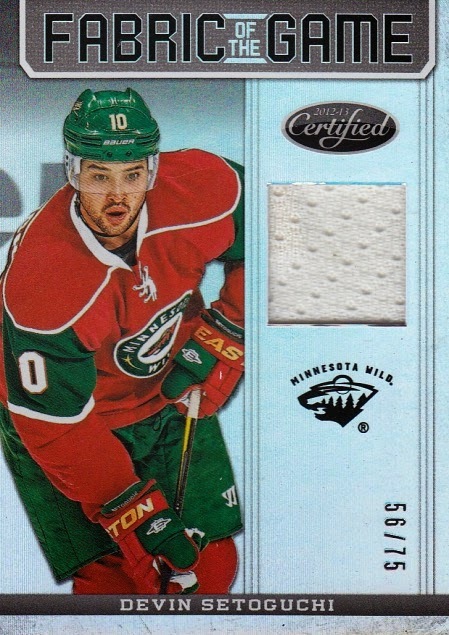 Fiction: I hate patch cards. 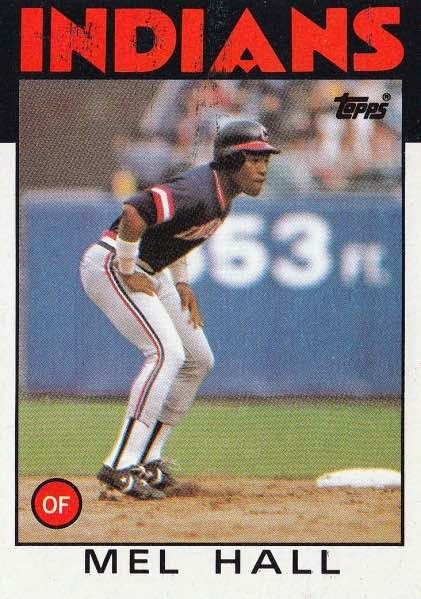 Fact: Tony Gwynn and Dave Winfield are the only guys who have played more games in right field for the San Diego Padres in franchise history. 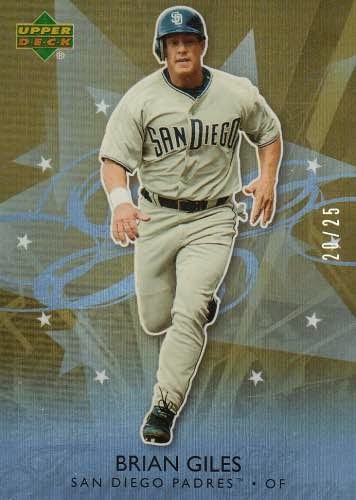 Fact: Brian Giles is in the top ten of almost every offensive statistical category for my beloved Padres. 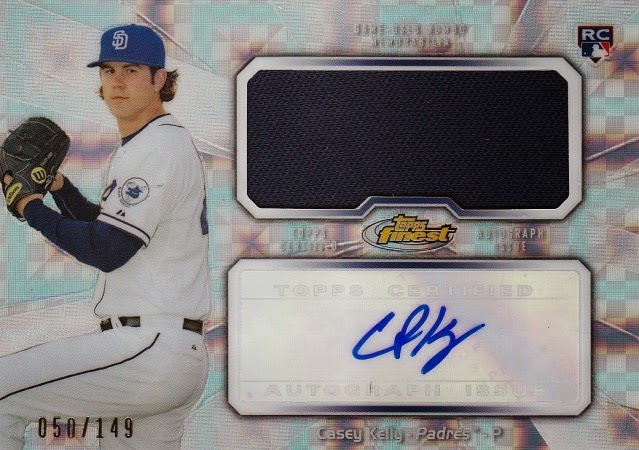 Fiction: Casey Kelly is the next Jake Peavy. Fact: Kelly was once a top ranked prospect, but he's been working his way back from Tommy John surgery for over a year now. Fiction: Arena football is dead. Fact: The San Jose Sabercats are 4-0 and the cow bells are ringing. 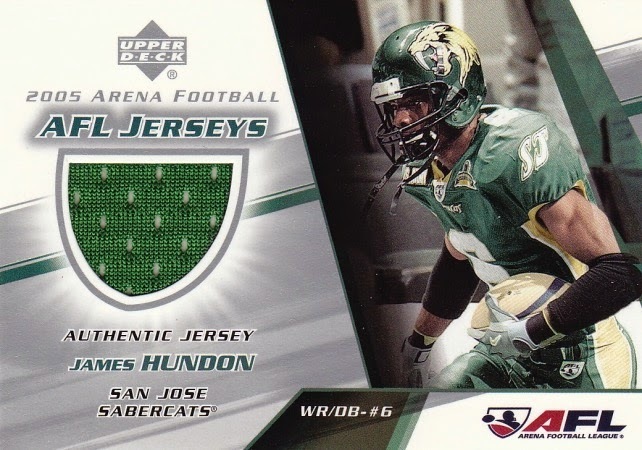 Fact: There aren't a lot of them floating around, but I have a small collection of Sabercats memorabilia cards and autographs. 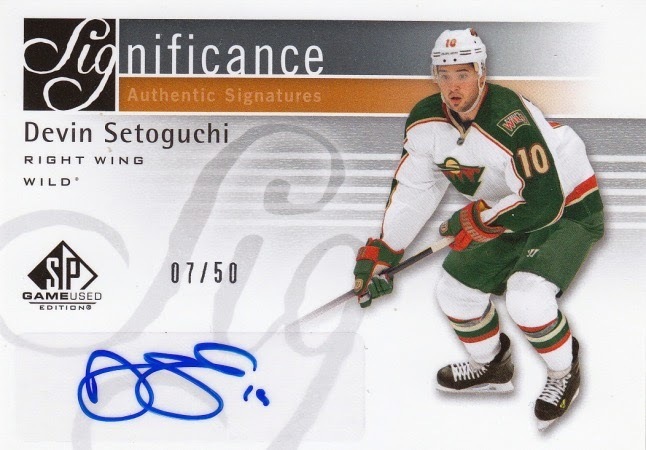 Fiction: I stopped collecting Devin Setoguchi when he was traded to Minnesota in 2011. Fact: Although I don't go out of my way to purchase Seto... I still enjoy adding cards of him to my collection every now and then. Fiction: I'm a huge NBA fan. 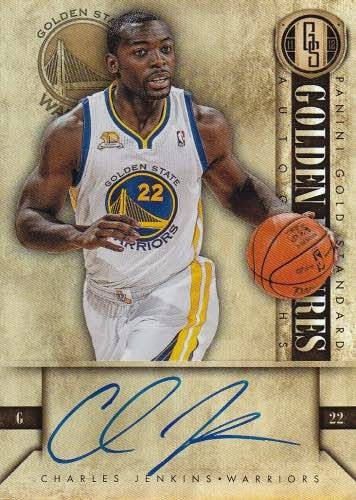 Fact: I don't really watch basketball anymore, but I definitely happy for the Golden State Warriors and their fans. Fact: I totally appreciate this awesome care package from Tim. Fact: I'll be scraping some singles for your cool, interesting, and unique PC's. Ten years ago... 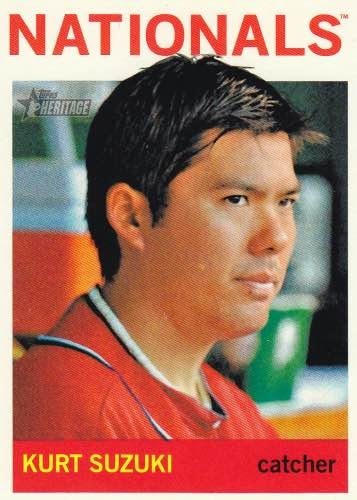 I missed the boat on 2005 Topps Heritage baseball, because I was four years removed from the hobby and three years away from jumping back in. 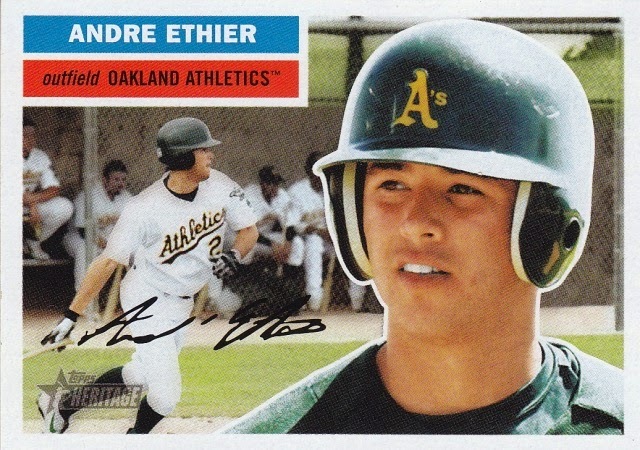 Ten years ago... Andre Ethier went 0 for 5 for the Midland RockHounds, while Eric Chavez, Erubiel Durazo, and Jason Kendall each went 0 for 4 in Oakland's 0 to 1 loss to the Anaheim Angels. 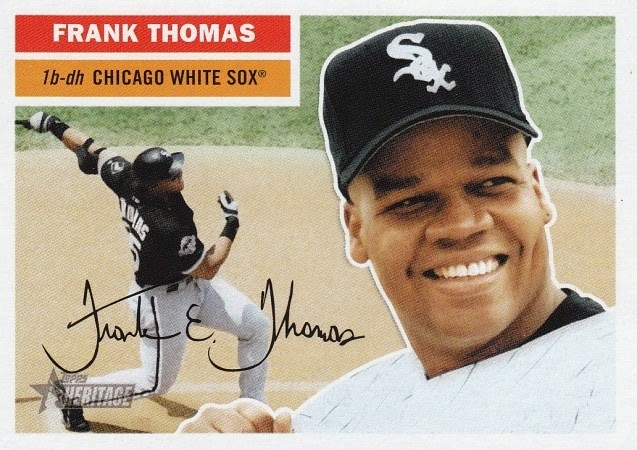 Ten years ago... Frank Thomas was on the disabled list and missed the first 50 games of the 2005 season. 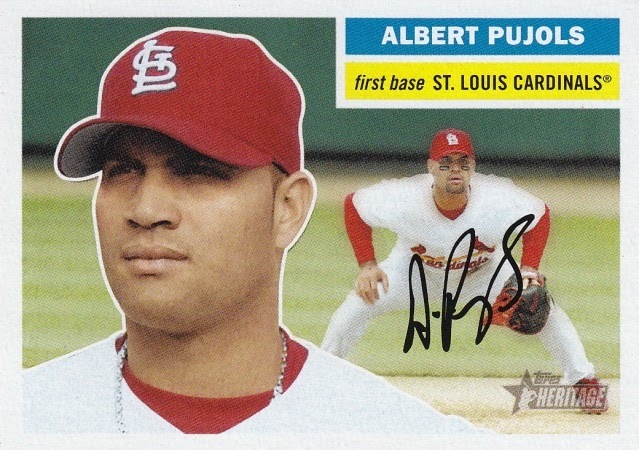 Ten years ago... Albert Pujols hit his 165th home run of his career against the Houston Astros. 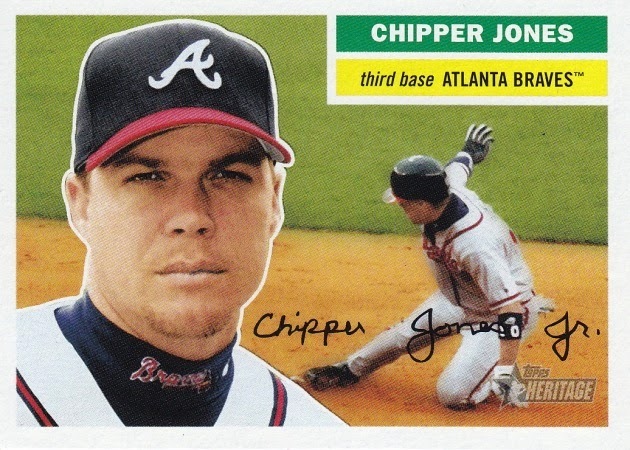 Ten years ago... Chipper Jones celebrated his 33rd birthday by walking twice and scoring once. Unfortunately he left the game early with a bruised left foot and missed the next three games. 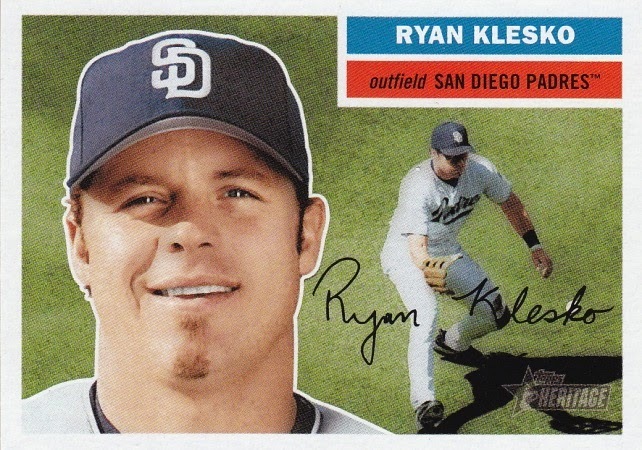 Ten years ago... Ryan Klesko had a double and a home run against the Arizona Diamondbacks. 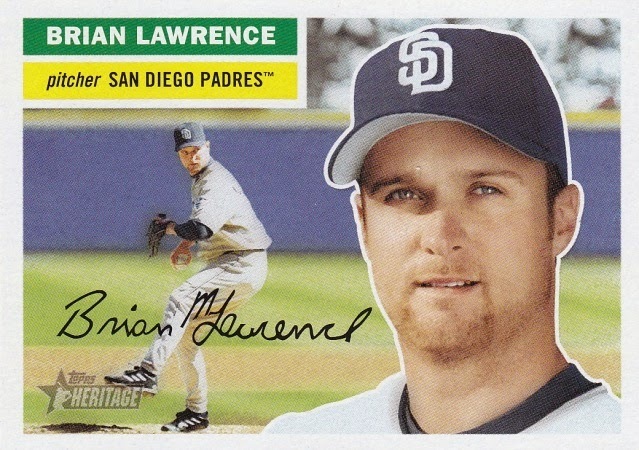 Unfortunately the Padres lost after Brian Lawrence gave up seven hits, walked two batters, and allowed six runs in 2.1 innings pitched. 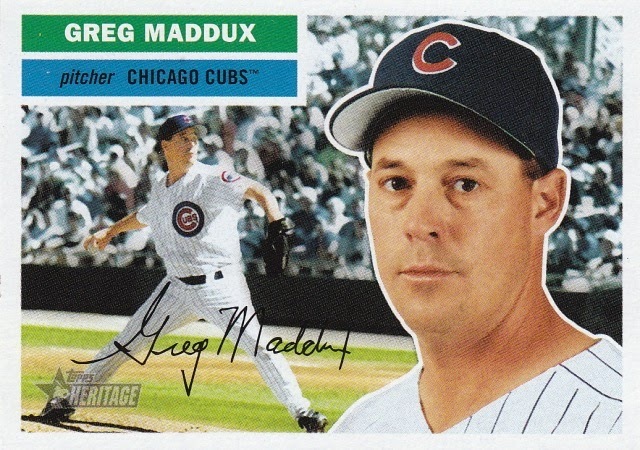 Ten years ago, Greg Maddux had the night off. However the day before he threw for eight solid innings while only giving up four hits and two earned runs in a loss against the Pittsburgh Pirates. 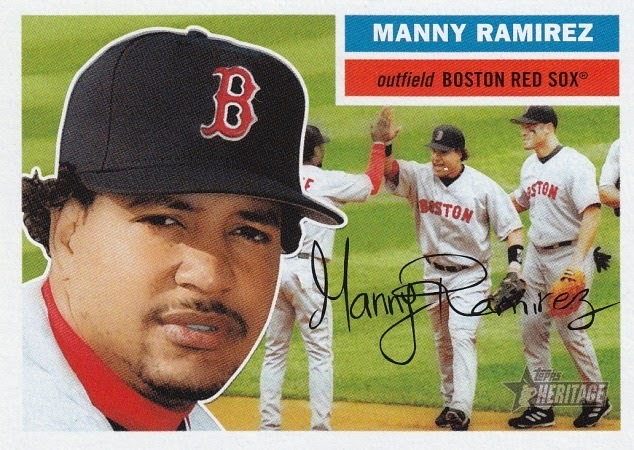 Ten years ago... Manny Ramirez and David Ortiz both hit home runs in Boston's 11-3 win over the Tampa Bay Devil Rays. 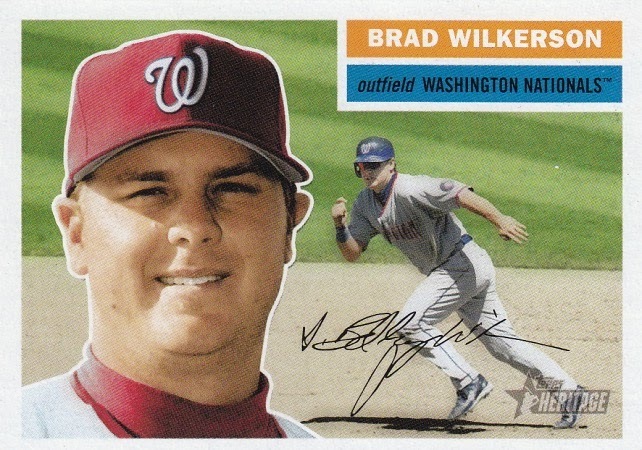 Ten years ago... Brad Wilkerson went 4 for 5, scored three runs, drove in two runs, and came close to hitting for the cycle against the New York Mets. 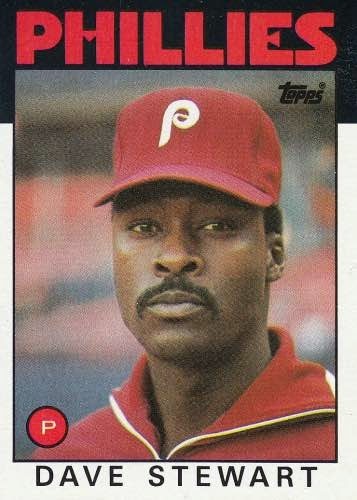 If it's any consolation, he actually hit for the cycle a few weeks earlier against the Philadelphia Phillies. 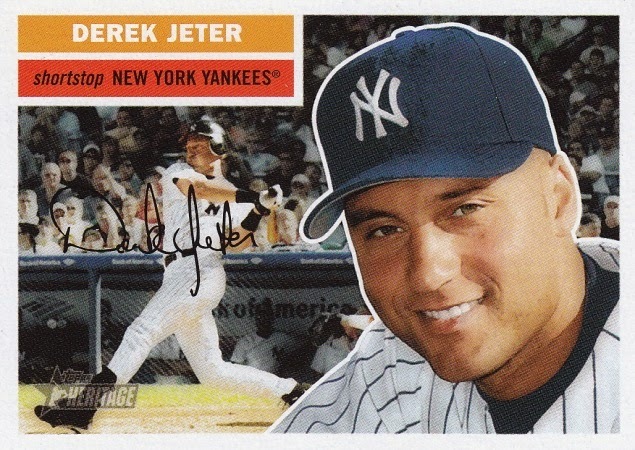 Ten years ago... Derek Jeter also fell short of hitting for the cycle after he had a single, double, and a home run against the Texas Rangers. 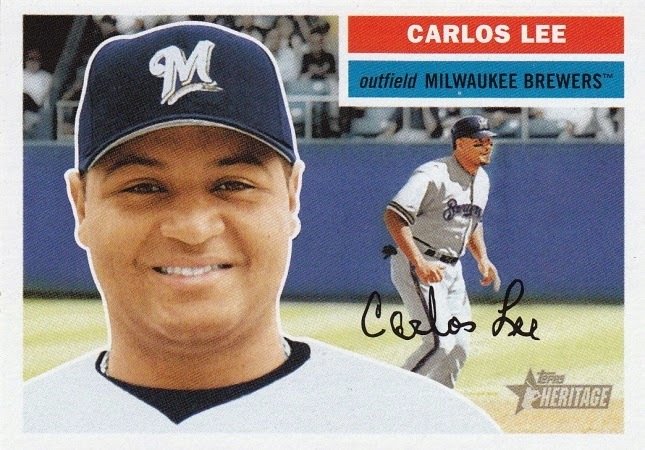 Ten years ago... Carlos Lee hit two home runs and drove in four runs against the San Francisco Giants. 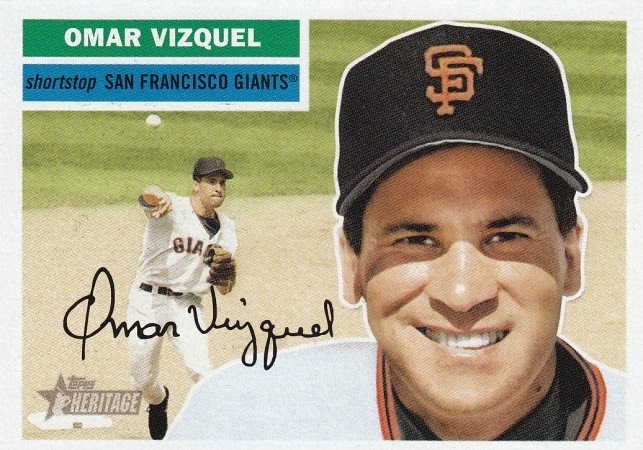 In the other dugout, Omar Vizquel celebrated his 38th birthday with a single, double, and a triple (yup... the third person of the day to fall short of hitting for the cycle). 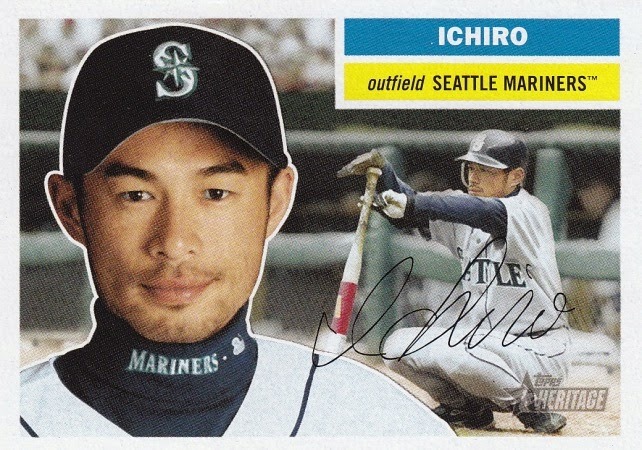 Ten years ago... Ichiro Suzuki went 2 for 4, scored two runs, walked once, and drove in a run in Seattle's win over the Cleveland Indians. Ten days ago... 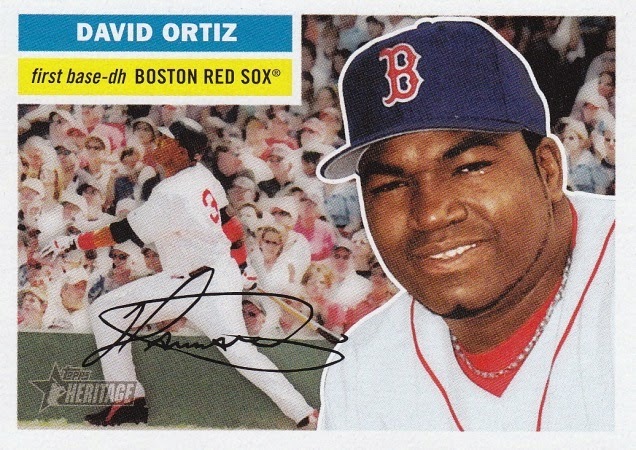 I bid $200 on a 2005 Topps Heritage baseball set (complete with SP's and variations) and won. I realize that many of you think that I'm insane... and maybe I am. 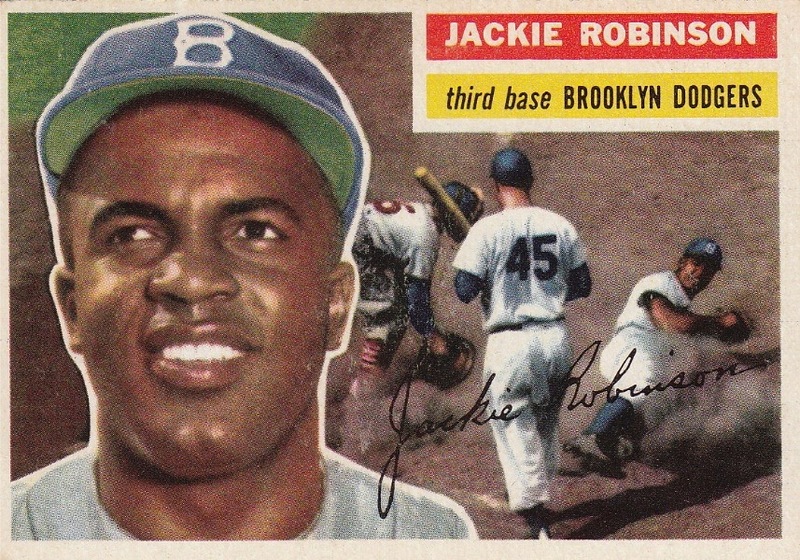 Two hundred dollars is a lot of money for a non-vintage, non-autographed, or non-relic set. But with boxes selling for over $100... this was the route I decided to take. 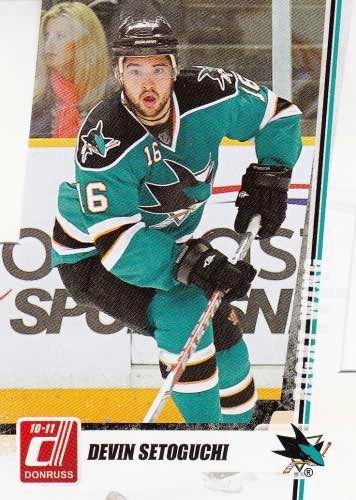 Ten years ago... were you collecting cards? 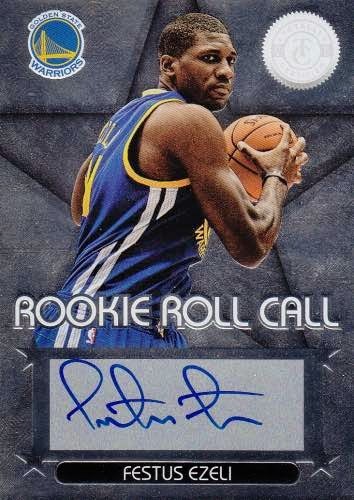 Were you collecting the same kind of cards or has your collection evolved? It's Hump Day... which means it's time to show off my junk. Bay Area born. World War II and Korean War veteran. All-star second baseman. 4x World Series champion. Legendary San Diego Padres radio announcer. 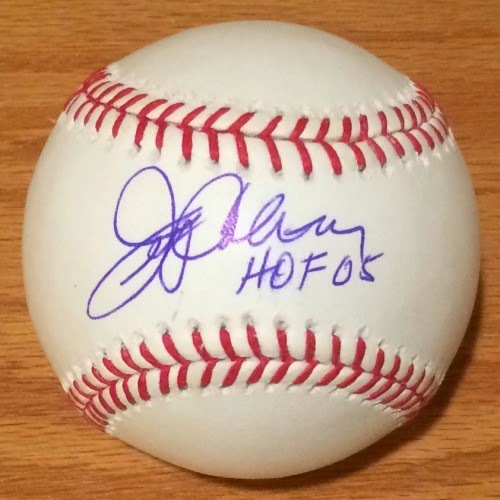 2005 Ford C. Frick Award winner. 1984 Olympic silver medalist. 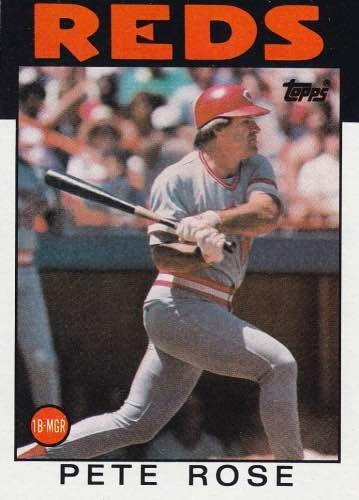 1987 American League Rookie of the Year winner. 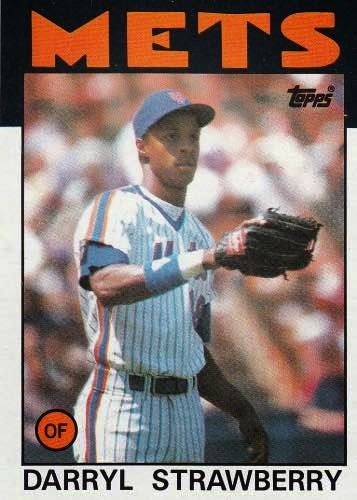 1990 Gold Glove Award winner. 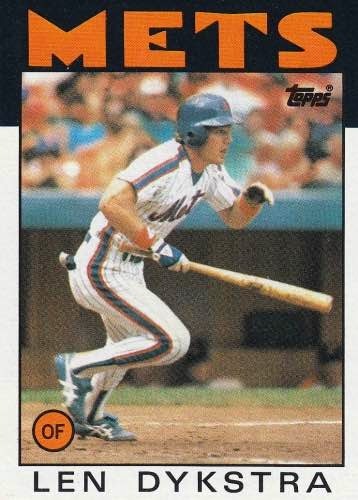 1992 home run derby winner. 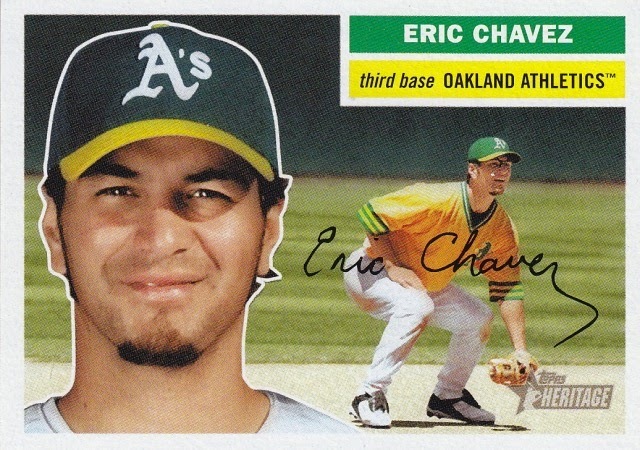 1999 Lou Gehrig Memorial Award winner. 2x World Series champion. 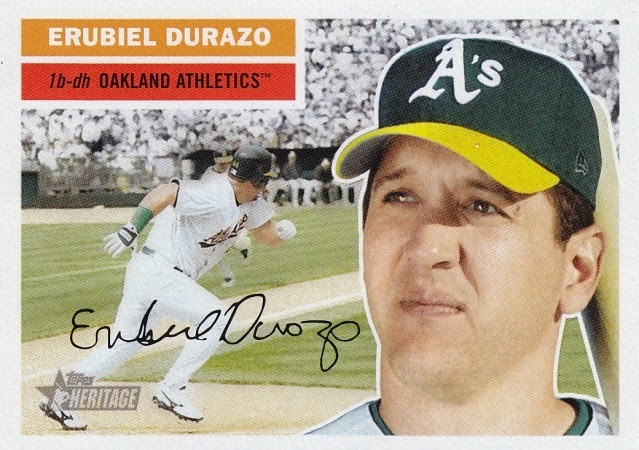 3x Silver Slugger Award winner. 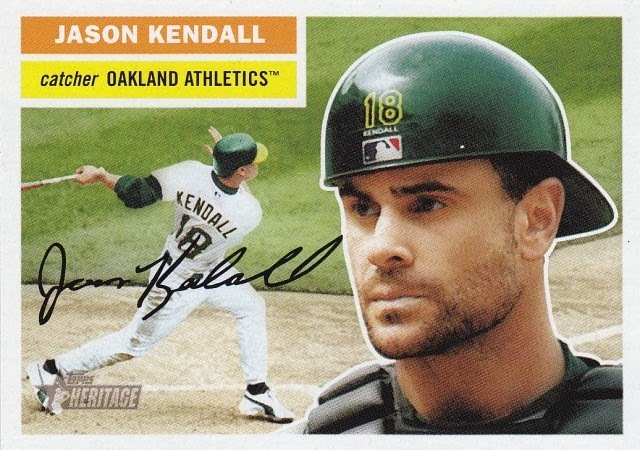 12x MLB all-star. 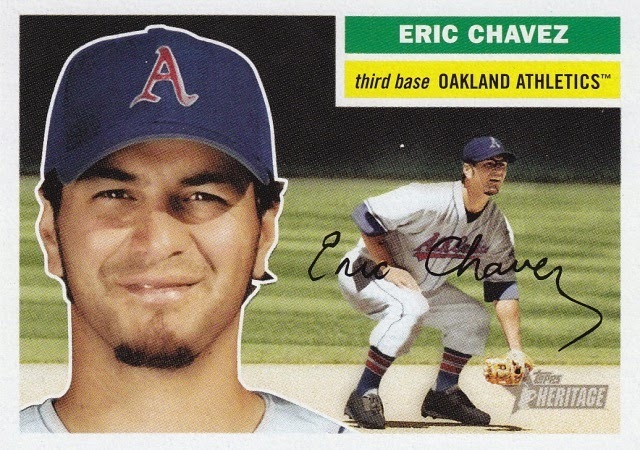 MLB All-Century Team member. 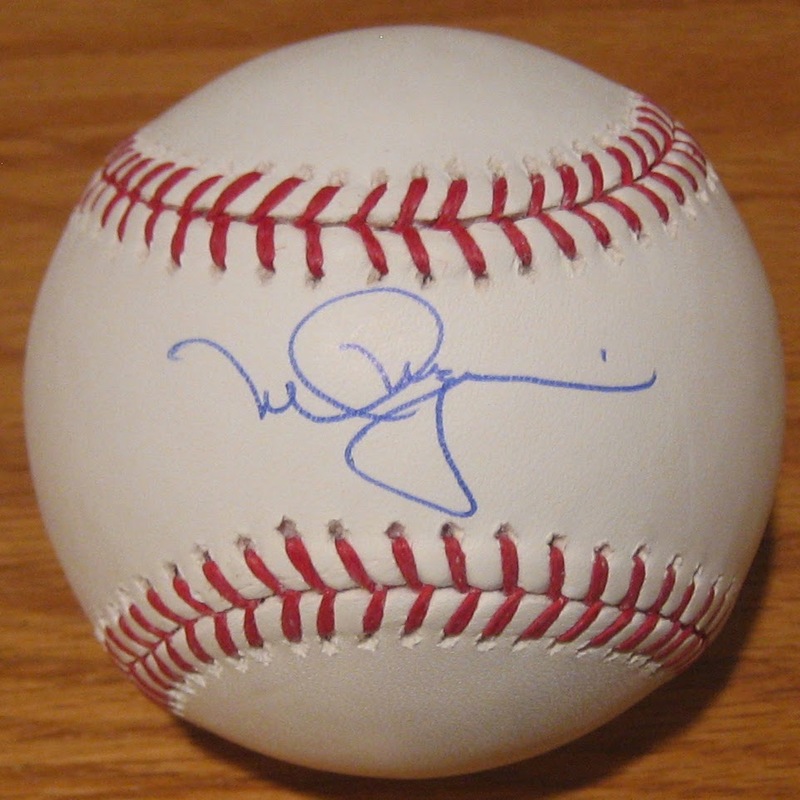 Member of Baseball Hall of Fame. 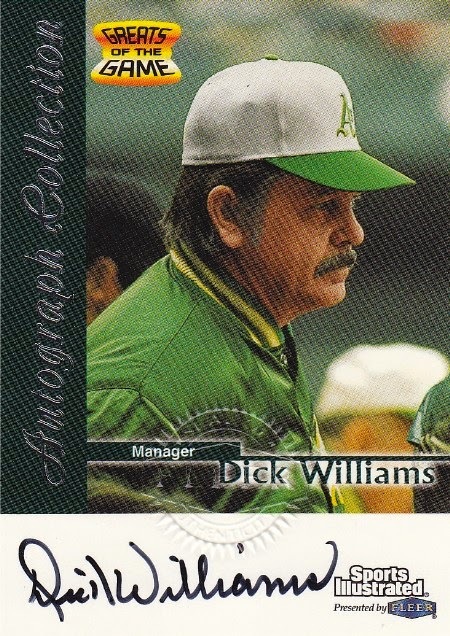 1985 American League Manager of the Year. 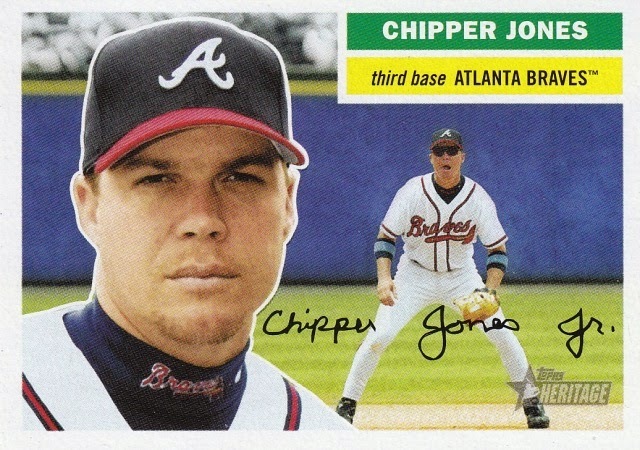 1995 World Series champion. 3x National League Manager of the Year. 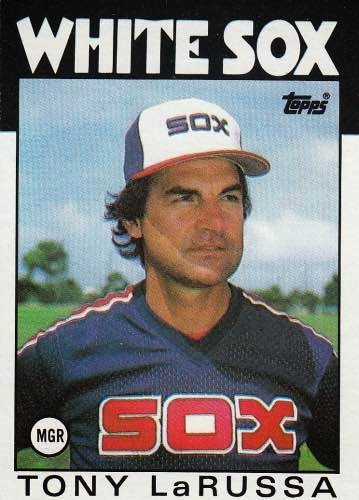 5x National League all-star game manager. 15 first place finishes. 4th winningest manager in MLB history. Most managerial ejections in MLB history.